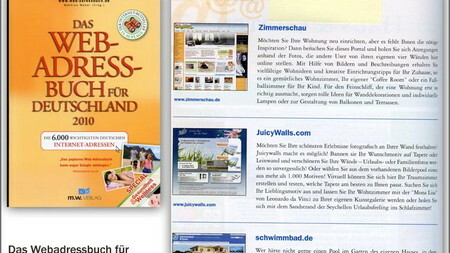 JuicyWalls has constantly appeared in the press since 2008. 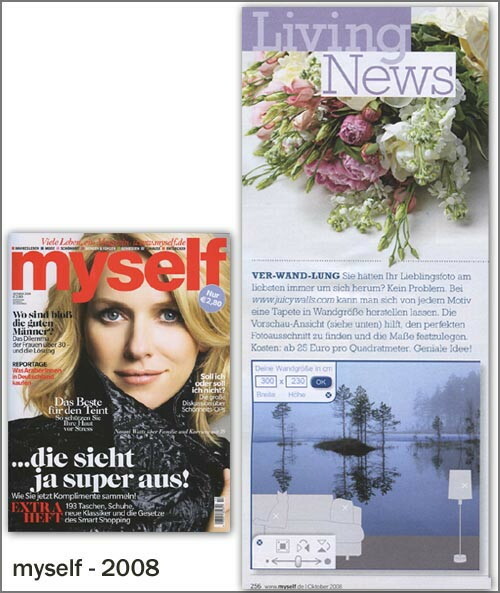 Whether in specialist lifestyle and DIY magazines, well-known women’s magazines or in the daily press. The concept of interior wall design is discussed time and time again. Here are just a few articles. 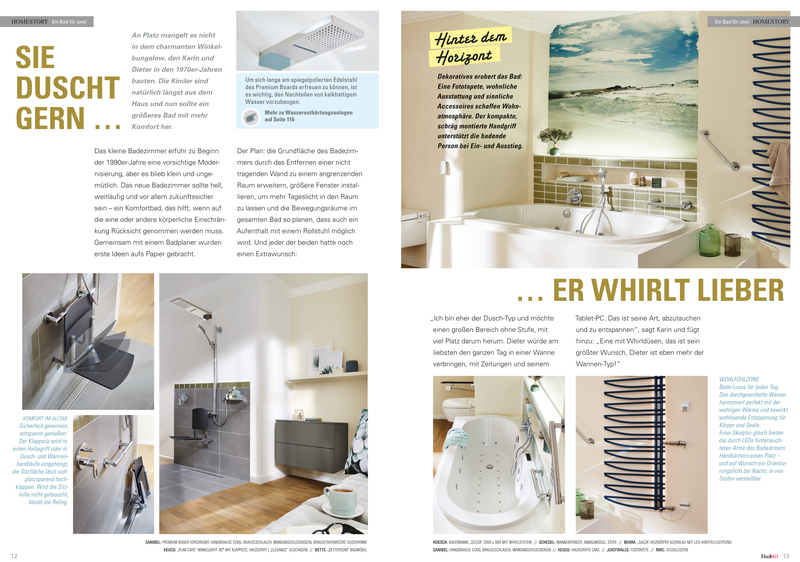 Digitally printed wallcoverings create eye-catching feature walls in your own bathroom. 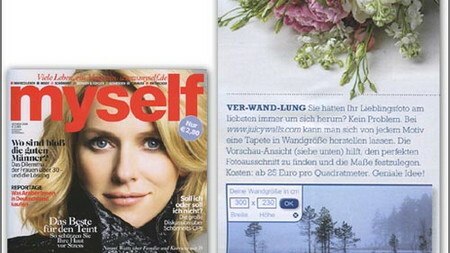 The magazine “BadeStil“ does so with ERFURT JuicyWalls. 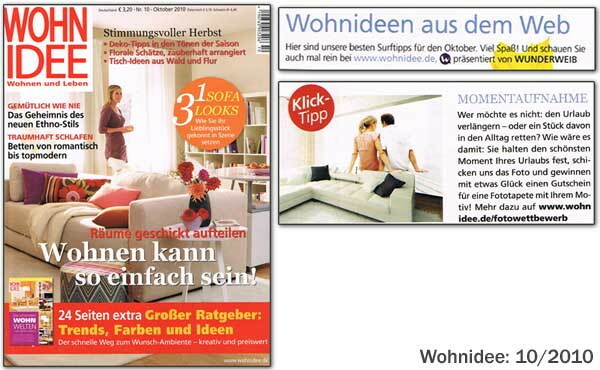 The leading "do-it-yourself" magazine has tested the individual JuicyWalls wallcoverings. The result: Awarding them 5 out of 5 hammers – top marks! 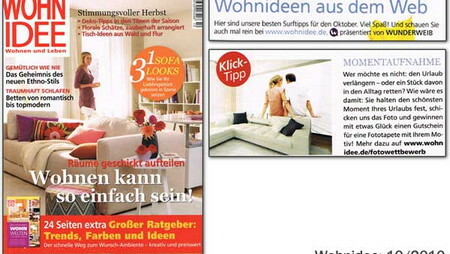 JuicyWalls runs a competition jointly with “Wohnidee” magazine and the “Wunderweib.de” online portal. 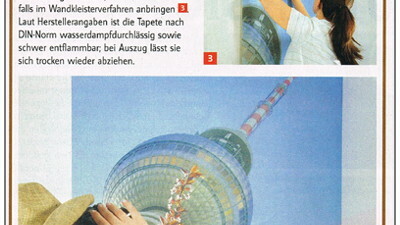 The report on this appears in “Wohnidee” in 2010. 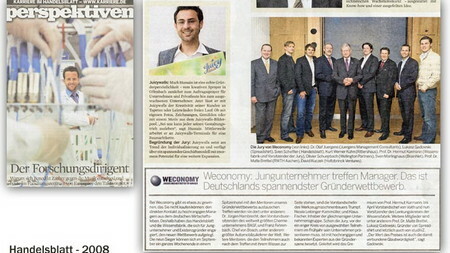 JuicyWalls wins the “Weconomy“ award in 2008. 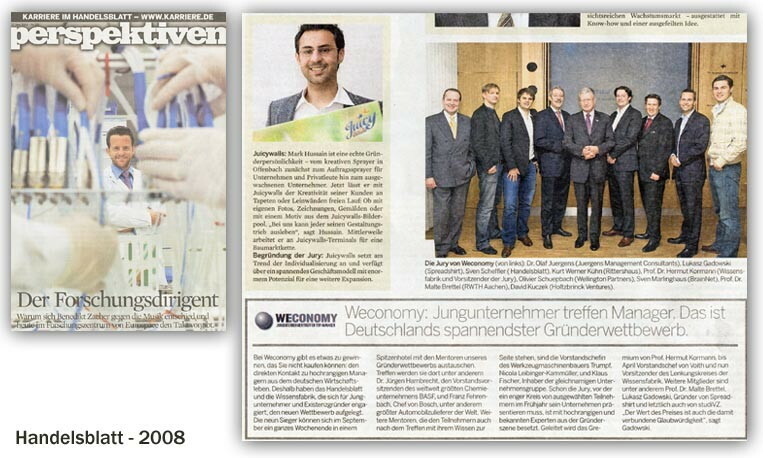 The Handelsblatt is behind this innovation award and reports extensively on it. 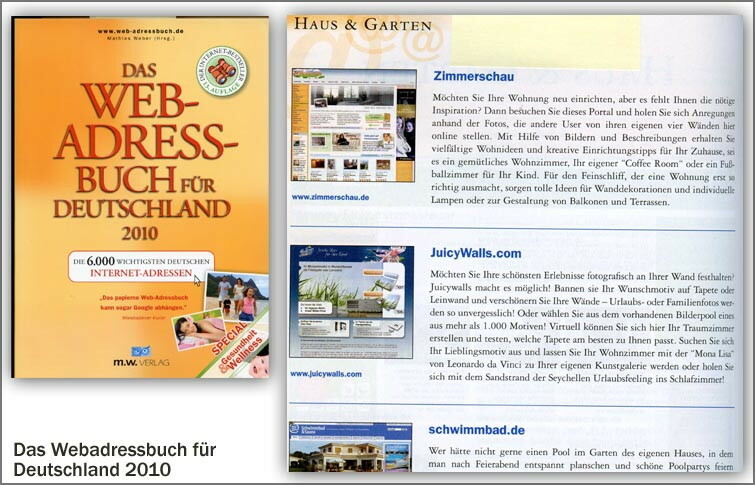 JuicyWalls is one of the 6,000 most important websites in Germany and appears in the “Website Address Book for Germany” in 2010! 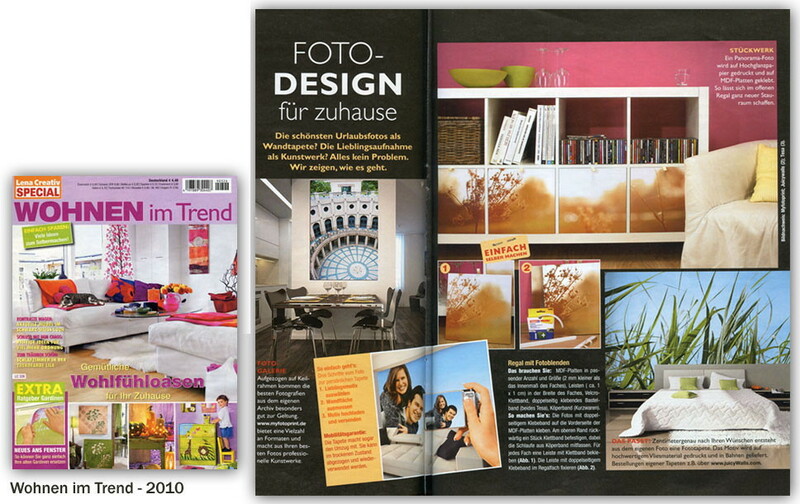 Photographic design for the home: “Wohnen im Trend“ magazine showcases the latest trends. JuicyWalls just has to be included. 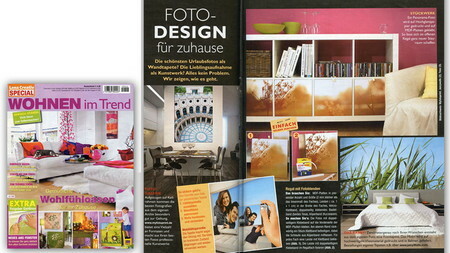 The trend magazine "myself" reports on options for the transformation of walls using individual JuicyWalls digitally printed wallcoverings: successful trans-wall-mation!